Hints of spring are all around, but you’ll have to hunt for them under the snow and ice. From tiny brown tips on lilacs to the fuzzy buds on magnolias, spring-blooming shrubs and trees have already set buds. Some plants actually bloom in winter. 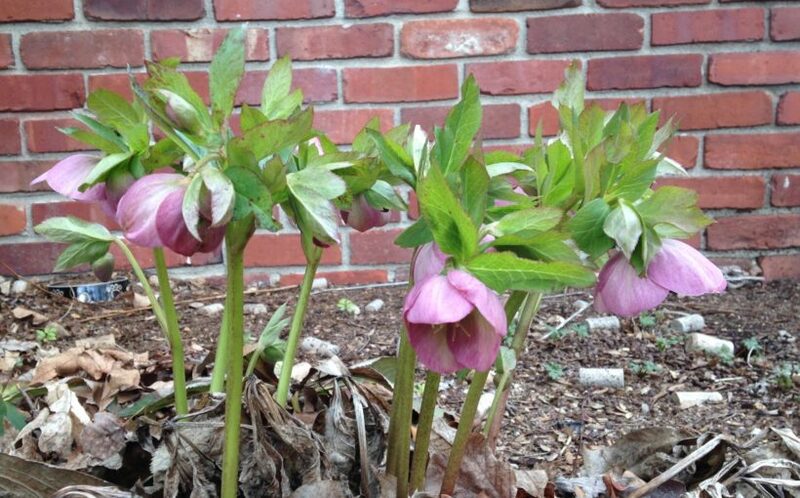 Lenten rose (Helleborus orientalists; above) is famous for its late-winter flowers. Witch hazel (Hamamelis spp.) unfurls firecracker-like tendrils in late winter. Some shrubs may be hanging on to berries, but only if the birds haven’t found them first. Viburnum (Viburnum spp.) and winterberry (Ilex verticillata) are sure-fire bets for luring avian visitors. Scout your garden for early signs of spring bulbs. Daffodil leaves are already emerging. Snowdrops (Galanthus nivalis) bloom even before crocus, sometimes pushing up through the snow. Snowdrops are among the first bulbs to bloom, sometimes even when snow is still on the ground. Plan this year’s garden. Contact us at (317) 356-8808 to design a new garden this year! Call us to schedule having your fruit trees pruned. Trees should be pruned in February or March, while they’re still dormant. Start seeds of cool-season vegetables indoors to give broccoli, cabbage, and cauliflower a head start. Sharpen and oil tools to make sure they (and you!) are ready for spring.